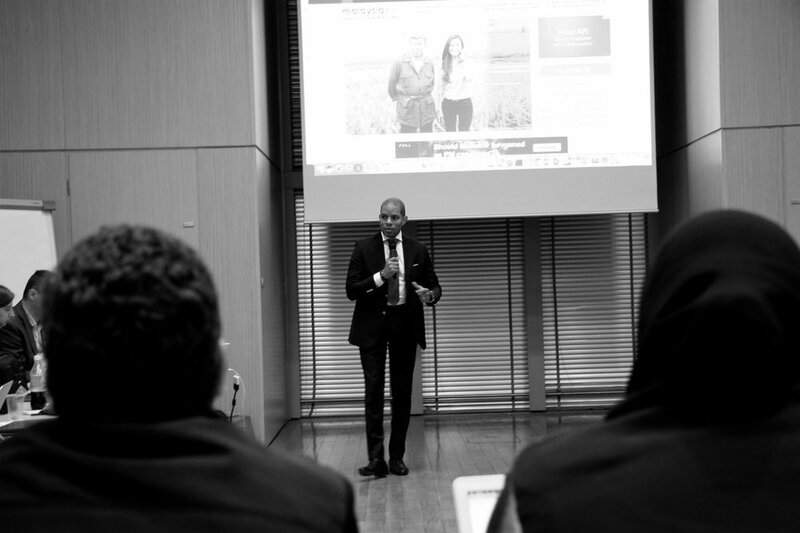 Derrick Fountain hosting a workshop in Warsaw, Poland with media executives representing over 10 countries. The Media Development Investment Fund was looking to better equip their portfolio companies with product management knowledge so that they can better execute on building and monetizing their media businesses. Many of the media companies were in the middle of major product decisions and lacked the skills and processes needed to maximize the return on the engineering and design resources that were being invested into mobile app and media website redesign projects. A product management workshop agenda was designed around the specific needs and problem areas of MDIF. Through a collaborative exercise, the agenda was defined and validated with target attendees. Presentations and workshop collateral were then developed as a product management training program for media executives spanning multiple days. Immediately following the hands-on workshop, one-on-one coaching and mentoring sessions were held with each of the organizations present. For organizations within their portfolio that were not able to attend the workshop, and to make the material more actionable, a further engagement was around creating a written guide based on the workshop material. If you want to move fast, execute on new media product ideas, get in touch. I can help bring your digital product idea to market, leveraging two decades of experience in digital media spanning a wide range of industries, disciplines and product categories. This gives me a unique perspective in helping media companies and brands define, validate and execute on their digital strategy.